Fran Alvis was born in Covington, Kentucky and moved to Wilmington, Ohio when she was 9 years old. She remembers loving school, so being asked to join the Dayton Leadership Academies team in 2016 as the Director of Operations was a most welcome career change. Prior to DLA she worked in the non-profit sector for most of her career. Her most memorable experiences include housing and neighborhood development in Dayton, directing a healthcare for the homeless clinic and an HIV/AIDS service center in Las Cruces, New Mexico, and coordinating services for elderly and disabled adults in Lexington, Kentucky. 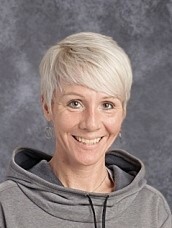 Mrs. Alvis earned her Bachelor’s degree in horticulture and business from the University of Kentucky and her Master’s degree in Applied Behavioral Science from Wright State University. She and her husband have 4 children and 5 grandchildren, and she enjoys cooking and gardening. Ms. Dillard was born in Dayton Ohio. She graduated from Roth High School and attended Central State University where she major in Communication/ Radio and TV. Since 2010 she has been humbly honored to work at Dayton Leadership Academies. 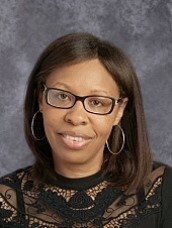 As Office Manager, Ms. Dillard has learned best practices to operate with excellence in a school office setting, as well as assisting students to make good choices and to become a positive leader. For the past 20 years, Ms. Dillard has served as Neighborhood Assistance Office with the Dayton Police Department. Her favorite part of DLA are the students and being able to serve her community! She loves the great outdoors and spending time with family. 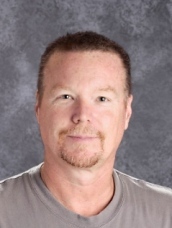 Mr. Miley is a graduate of Rets Tech and has over 30 years of HVAC, refrigeration, plumbing, electrical and building maintenance experience. He has been a part of the DLA family for over 5 years. Mr. Miley loves the opportunity he has to mentor the younger generation here at DLA and share the skills he has learned over the years. 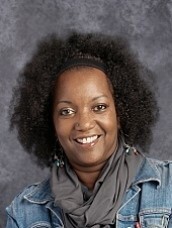 Nurse Jodi has been at the Dayton Leadership Academies since February 2011. She obtained her degree locally and attended Miami Jacobs in Troy, Ohio. She has experience in Trauma, Home Health Care, General Practice, Emergency and Pediatrics. She is also a Certified CPR, AED and First Aid Instructor. She is also a Certified A.L.I.C.E instructor and leds DLA school safety drills. Nurse Jodi loves the students and loves health, fitness and the great outdoors. Joining DLA as the Health Clinic Coordinator was the perfect match for her! Mrs. Robinson has received her BA in Psychology, MSEd Education, MBA. She worked as a substitute teacher for Dayton Public schools for multiple years after receiving her Bachelor's degree. She later worked for a small amount of time as an Academic Coordinator at Miami Jacobs Career college. She moved on to work at City Day Community School as the Director of Employee and Administrative Services for 5.5 years. This is where she found her passion for working in the school atmosphere. After leaving City Day she worked for 3.5 years as a Support Services Manager at Trumpet Behavioral Health (a school alternative for students diagnosed with autism).